My husband and I have been trying to go to a local Vietnamese restaurant pretty much the whole time we've known each other. It finally happened this month and we loved it! 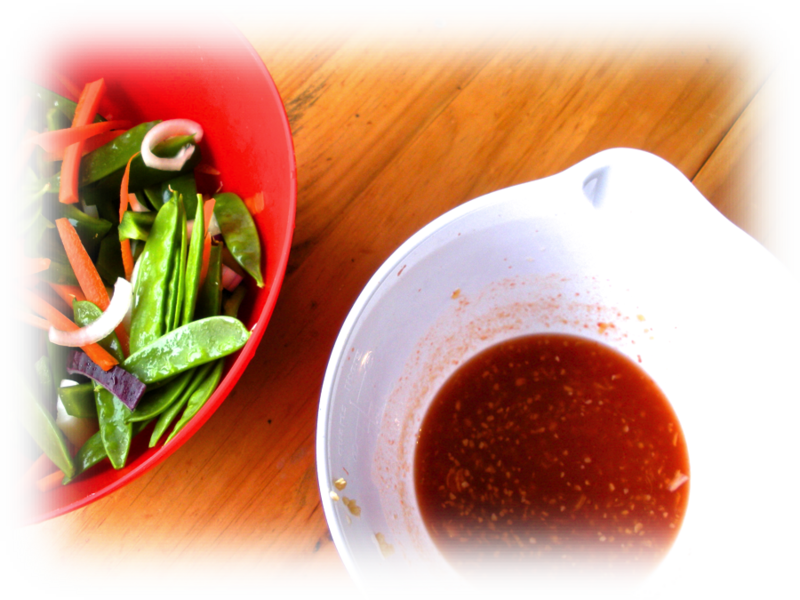 The food was fresh, simple and healthy which is perfect for these days when the temperature is in the 80s and 90s (ugh). The spring rolls there were absolutely delicious! I wanted to have them again but couldn't bring myself to pay $2 each just to satisfy a craving. So, with a little digging, I found a recipe online and tried it out thinking it would be oh so complicated, but worth it because I really wanted more. To my surprise it was so SIMPLE! It is as easy as making a salad and rolling burritos, no joke. Try this recipe to feel refreshed on these hot summer days. 1. Boil chopped cauliflower and zucchini in broth for 15 minutes. While cauliflower and zucchini is boiling sauté garlic and onions in butter in a large skillet. 2. Add garlic, onions, cauliflower, zucchini, broth, nutmeg, salt, and pepper to blender and blend until completely smooth. 3. Once it is completely smooth stream in olive oil. If mixture is too thick to turn through the blender easily add more water or broth. While cauliflower is blending cook pasta according to directions. Save pasta water to use later. 4. Sauté chopped peppers and mushrooms and then add cherry tomatoes sliced in half. 5. Pour the cauliflower mixture into the large skillet with sautéd peppers, mushrooms, and tomatoes. Add the cream and cook over low heat. Add pasta water to thin and keep warm until ready to serve. *If you are trying to get your family to eat whole wheat pasta start with angel hair. It is so thin that the texture difference isn't as noticeable. My favorite brand is honestly Western Family. **Boil your cauliflower for at least 15 minutes with the lid off. The longer it boils the smoother the sauce. 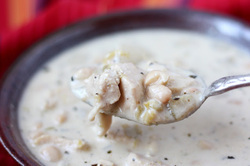 Over the weekend we made this white chicken chili for an event and it was a hit. Because we had so many requests for the recipe we decided to share it with all of you! If you are looking for a quick and easy recipe to spice up your life, give this a try. We added some red pepper flakes and went a little heavy on the seasonings to give it a kick, but if you aren't into spicy this recipe can easily be toned down. Hope you enjoy this recipe! PS Don't forget to check out the tips section at the bottom! 1. Bake chicken breast in oven on 350 F for 30 minutes or until juices come out clear. When done cube and set aside. 2. In medium sauce pan sauté onion and garlic in oil. 3. Add the remaining ingredients except for sour cream and cream. Simmer for 30 minutes. 4. Remove from hear and stir in sour cream, cream and chicken. *You can cube the chicken raw and sauté it with the garlic and onions until it is cooked. However, if you want your chicken more tender and juicy, cook it in the oven. This summer I discovered the amazing transformation that occurs when vegetables are roasted. 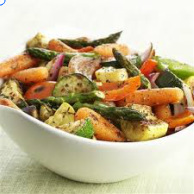 Brussels sprouts became my favorite food, carrots had new life, I wanted vegetables for every meal! My husband even liked it! Not only does it make your vegetables taste amazing, but it is also extremely easy. Try it for yourself and let me know what you think! 1. Wash and dice all vegetables. 2. Place on baking ban and drizzle with olive oil. Toss until everything evenly coated. 3. Sprinkle with seasons and toss until coated. 4. Bake at 350 F for 20-30 minutes or until vegetables are cooked through. 5. Eat as a side or make it your meal! I love sweet and sour sauce. David teases me all the time that I put so much sauce on my rice and vegetables I make sweet and sour soup. The one thing I don't like about sweet and sour is all the sugar. If you haven't ever made sweet and sour from scratch before, try it. You will be absolutely shocked by the sugar content (1 cup)! When I got my orange and lemon flavored stevia I immediately thought of trying to recreate a sweet and sour recipe that still tasted amazing but wasn't such a sugary mess. I am pleasantly surprised with how well it turned out! Give this sweet and sour stir fry a try and let me know if it worked for you and what you think could make it even better! 1. Wash and chop all your vegetables and set aside in a large bowl. 2. In a sauce pan combine garlic, ginger, lemon, pineapple juice, vinegar, ketchup, and stevia. 3. Whisk the cornstarch into the sauce mixture and heat over medium high heat while stirring until it begins to boil and thicken. 4. Add the vegetables to the sauce mixture and cook until desired texture (if you don't like your veggies in the sauce just steam them separately). 5. Pour over rice and serve! If you want some meat dice it and cook it separately and then add it to the sauce with the stir fry or put it over the rice at the end. If you want to try vegetarian/vegan (or are just feeling adventurous) try using tofu. Soak the tofu in the sauce juice for 30 minutes (before you thicken it with cornstarch). After it has soak up the flavors from the sauce strain it out and pan fry the tofu. Add it in with the veggies and sauce at the end and you will be surprised at how good it is. David even though it was pretty good (and it was cheaper than chicken which we both really liked). I found this recipe and recently tried it. I'm so impressed I had to share! Full of healthy fats, veggies, and whole grain this is a deluxe dinner that tastes great and pampers you from the inside out. It is warm, creamy, flavorful, and extremely easy to make. Just as easy as opening a can of Ragu and adding a few extras. This is a must try recipe! 1. Set a medium-sized pot of salted water to boil. Add pasta, reduce heat slightly and cook until al dente, 8-10 minutes. 2. In a food processor, combine avocado flesh, lemon juice, garlic, olive oil, basil and salt. Blend until smooth and creamy. Set aside in a large bowl. 3. Transfer cooked pasta to the bowl. Toss with avocado mixture and freshly grated parmesan. Serve with additional grated parmesan, if desired. Original recipe and tips can be found here. We all know desserts are not the healthiest thing on the planet, yet we continue to eat them with guilt. First of all, stop it! Eating a little dessert is not something to feel guilty about! Second, find healthier desserts! Here is a new family favorite we found here and recently adapted to make it a little healthier using NuStevia. 1. Combine the flour, sugar substitute and salt in a large bowl. 2. Mix in the softened butter. 3. In another bowl whisk the eggs with the lemon juice, liquid stevia, and zest. 4. Add to the larger bowl and mix well. 5. Pour into prepared 8X8 brownie pan. 6. Bake at 350 for 25 minutes. 7. Remove and let cool, then glaze. Mix glaze, and pour over cool lemonies. Enjoy a guilt free sugar free dessert! Need to add some variety to your breakfast but feel you don't have time for anything more sophisticated that a bowl of cold cereal? Try some yogurt and fruit! 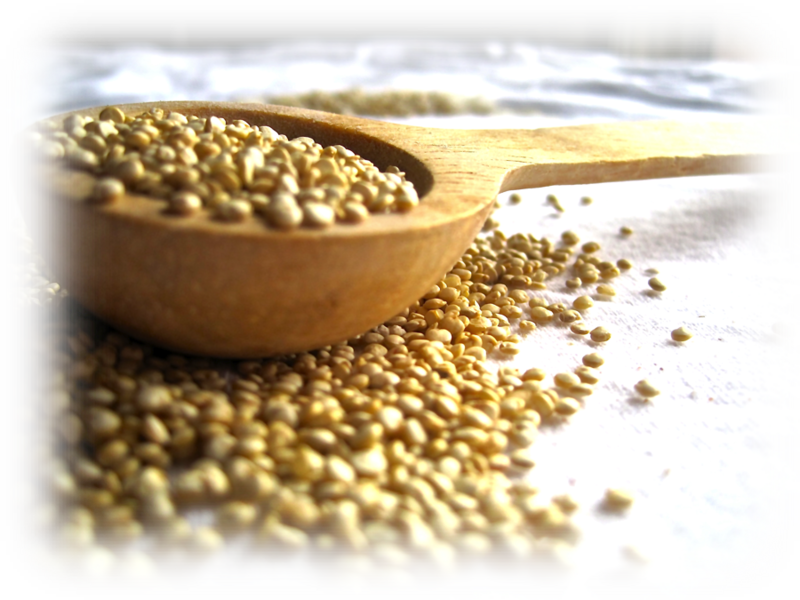 Simple, easy and you will be getting protein and carbohydrates (an excellent combination for long lasting energy) and you will be getting calcium which is essential for good bone health. Healthy Tip: Buy plain yogurt and add 5-7 drops of no calorie liquid sweetener. A small 6 ounce container of flavored yogurt can have 25 grams of sugar which is half of the daily recommendation of about 50 grams. 1. Mix yogurt and sweetener in a small bowl. Last night after getting home I found 3 sorry looking limes on my counter. My husband had bought them for me because I love lemons and limes and I'd forgotten to use them! I decided to quickly whip up a batch of limeade to go with dinner using NuNaturals for sweetener. It turned out great and was ready in less than 5 minutes and had no calories! 1. Squeeze the juice into a pitcher and add 5 cups of cold water. 2. Add the 2 tablets of sweetener and let dissolve and add 5-7 drops of liquid sweetener. The lime juice adds a healthy dose of vitamin c which will also help you absorb iron. If you are low in iron or fighting anemia have this drink with your spinach, meat, eggs, artichokes, fortified grains and beans to help you absorb even more from these high iron foods.